Discussion of article "Implementing a Scalping Market Depth Using the CGraphic Library"
In this article, we will create the basic functionality of a scalping Market Depth tool. 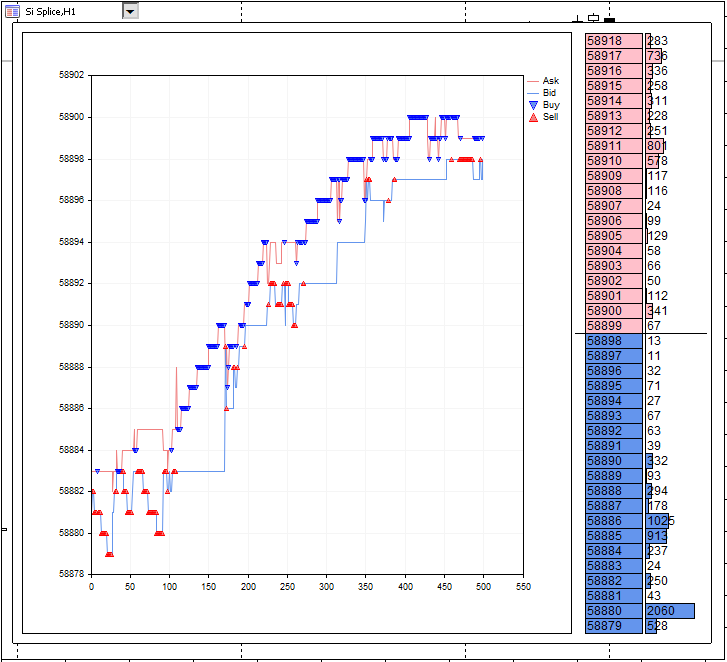 Also, we will develop a tick chart based on the CGraphic library and integrate it with the order book. Using the described Market Depth, it will be possible to create a powerful assistant tool for short-term trading. Fig. 1. Market Depth with a tick chart. I really enjoyed the article, it opened my eyes. Please, write a follow up article on how to use the DOM for scalping. I am really interested in how you would approach scalping with this tool. Thanks a million for this and all your other work. Thank you. This is a great tool. Very easy to modify.